Drop Mkhitaryan: It's crucial Emery turns to Arsenal star for NLD clash - Opinion | The Transfer Tavern | Where football transfer rumours fly or die! Unai Emery will face a tricky selection headache ahead of tonight’s League Cup quarterfinal against Tottenham Hotspur at the Emirates. It is the second time in two weeks that the North London rivals will go head to head at the home of the Gunners and if there is anything that Emery should take from the 4-2 victory by his side at the beginning of December, then it should be that Aaron Ramsey deserves a start this time around. The Welshman came on from the bench at halftime in the previous clash and turned the tie in the home side’s favour with two assists to set up Pierre-Emerick Aubameyang and Alexandre Lacazette. 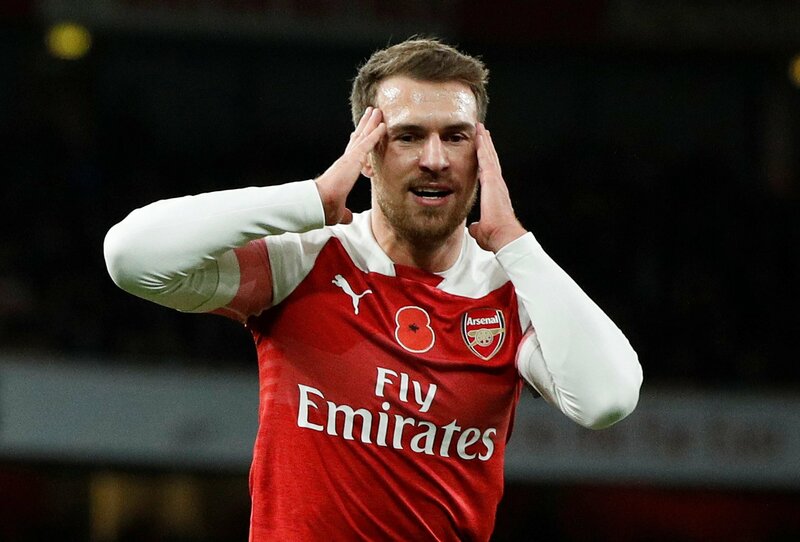 Unfortunately, Ramsey suffered from a slight niggle in the Gunners’ following match at Manchester United where 27-year-old, who captained the team on the night, had to leave the pitch at the interval. He was named on Emery’s bench for the past weekend’s match against Southampton but didn’t make an appearance. But given the manager’s excellent sense of rotation at the right time, an important midweek match is the perfect opportunity to let Ramsey play with freedom. The midfielder played in the number ten role the previous time the two teams meet but with Mesut Ozil also having returned from injury, the German might slot into his normal position in the centre of the pitch. Nonetheless, the stature of the match will tempt the manager to field as strong as possible team without running the risk of having severe consequences ahead of Saturday’s Premier League clash with Burnley. And Ramsey is just the player to make a valuable difference in such an occasion. He brilliant led a young Arsenal team in the Europa League in Kiev at the end of November and showed his worth a few days later against the old foe. Emery should therefore stick his faith in Ramsey and let him play his natural game, while maybe handing Alex Iwobi or Henrikh Mkhitaryan a rest.